The Conway Workshop Association began in the early 1970’s as an activity centre for adults with physical and intellectual disabilities. Its purpose was to offer an environment where the participants could become more productive and independent. The initial focus was on craft-making, gardening and button sorting; however, it wasn’t long before the numbers grew and new ideas were generated. Cutting, splitting, piling and loading firewood became a mainstay of the organization, together with promotional button making and the stripping and re-finishing of furniture. With the introduction of these new skills the organization evolved from an activity centre to a workshop. Today we continue to expand our operations in the workshop to Social Enterprises to increase skill development of the individuals who participate in our programs and, to serve a need in our community. We are the electronics recycling depot for the area, we provide freshly made baked goods to local businesses and the public, and we support the local schools with events such as day camps, fundraisers and other activities. 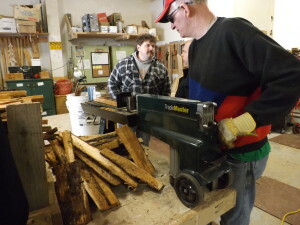 We also mill lumber on site for our wood products as well as for others in the Community. In addition, many of the individuals supported within our programs work and/or volunteer in the local business community. We are also very open to new ideas and business ventures that further promote abilities of our participants, and provide our local businesses and community with a service. 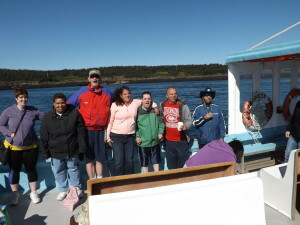 We offer supportive housing arrangements within the Town of Digby. These include small options homes, a group home and supervised apartments. Individuals living in our residential options are supported to learn daily living skills and to participate as active citizens in their community. Within both the workshop and residential options, we support 32 participants and have a total of 37 staff (includes full-time, part-time and casual). The employment offered to local citizens has a significant economic impact on our area and we are proud to provide ongoing and current training and stable, well paid employment. We have 13 volunteers who serve on our Board of Directors. Regular meetings take place on a bi-monthly basis, and committee meetings occur monthly or as required. Our participants formed their own Committee in 2017, called Conway Co-Workers Coalition where they work very closely with management to resolve issues arising and to assist in fulfilling the Board’s mandate. With the goal of the Coalition in 2018 the opening of a store front to showcase their abilities and have a retail outlet to work in, this goal was reached. Our retail store “Water Street Creations and Consignment” not only showcases the artful abilities of people with disabilities but of all people locally who wish to canvas their art/craftsmanship for sale in our “Beautiful Downtown by the Water” location.